The STIHL PS 90 includes all the features you need for uncompromising cutting ability. Its 12" blade is an excellent size for a wide range of cutting jobs and is recommended for branches up to 4" in diameter. Its ergonomically designed handle features a comfortable, non-slip grip. And its curvature ground blade shape reduces pinching and provides better contact with the limb. The impulse-hardened teeth stay sharp three to four times longer than conventional teeth. The PS 90 also includes a composite sheath with belt loop, leg strap loops, and roller technology for convenient access. 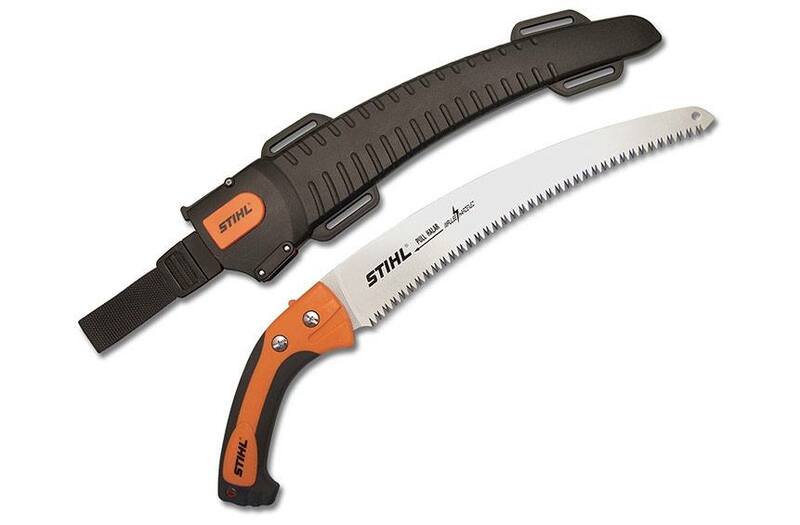 It's the ultimate arboriculture saw for serious professionals. Note: Impulse-hardened blades cannot be sharpened.